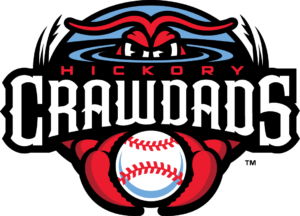 We will update game scores, etc., for the Hickory Crawdads again this season and will also feature day-by-day reports on three Catawba County players chasing their dream of reaching The Show. 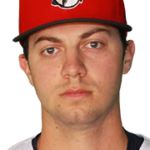 Visit our FREE website nightly to see if former Bandys High stars Hunter Harvey (Orioles system) and Hayden Deal (Braves system) pitched and also check in on former Hickory High star outfielder Zach Jarrett (Orioles system). If there are additional players from the Greater Hickory area that you’d like to follow, please email us at hobbsdailyreport@gmail.com with information on that player, as we can provide periodic updates on those players if requested. Game 1: HICKORY 3, GREENSBORO 1, 10 inn. Game 2: HICKORY 4, GREENSBORO 0, 7 inn. Crawdads’ current record: 5-1, leading South Atlantic League’s Northern Division. Wednesday: at Greensboro 10:45 a.m.
Harvey did not pitch on Tuesday night when 5,301 watched visiting Bowie beat Richmond (Va.) 8-5 in 10 innings. The Baysox (2-3) continue their series at on Wednesday before going home to face Harrisburg (Pa.) on Thursday to start a four-game series. They are next-to-last in the Eastern League’s Western Division. Harvey is currently listed as Bowie’s probable starter for Friday night’s game at 7:05 p.m. 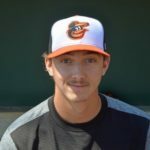 He made his first start of the season in the second game of Bowie’s doubleheader last Saturday at Harrisburg (Pa.), going 4 2/3 innings in a game the Baysox eventually won 6-5. He did not get a decision, allowing 10 hits, five runs (four earned) with one walk and six strikeouts, and he allowed two home runs. Harvey threw 51 of his 79 pitches for strikes and faced 23 batters in an Eastern League game that drew 3,496. Harvey, 24, didn’t pitch after June 2 of last season and went 1-2 with a 5.57 ERA in nine starts, pitching 32 1/3 innings, walking nine and striking out 30. Earlier in the season, the Orioles called Harvey to the big leagues for two games but he did not pitch before being optioned back to Bowie. Harvey — starting his sixth year in the minor leagues after being a first-round draft pick in 2013 — saw limited action in 2016 after having Tommy John surgery. In five pro seasons, Harvey went 8-10 with an ERA of 3.11 with 47 appearances (all starts) and 176 2/3 innings pitched. Opponents hit .226 against Harvey and he walked 60 and struck out 217. 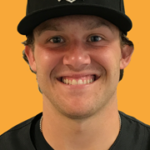 Jarrett, a former standout at Hickory High and Charlotte, started in center field (batting clean-up) and went 0-for-3 with a walk and struck out once in a 7-2 loss to Fayetteville before 2,686 in Fredrick. The Woodpeckers and Keys finish a series in Fredrick on Wednesday at 7 p.m. before the Keys start a four-game series at Salem (Va.) on Thursday. Jarrett is hitting .158 and the Keys are 1-5 and in last place in the Carolina League’s Northern Division. For fans interested in Jarrett playing games in North Carolina: Fredrick will visit Fayetteville for three games on April 23-25 and play at Winston-Salem on April 27-28. Jarrett is in his third pro season, playing first at Aberdeen (Md.) and then in 129 games last season at Class A Delmarva (Md. ), where he hit .277 with 26 doubles, six triples and 14 home runs. He drove in 72 runs, walked 41 times and struck out 136 times and was a South Atlantic League (SAL) All-Star. Deal, a former Bandys High star and left-handed pitcher, did not pitch on Tuesday night when visiting Jupiter (Fla.) won 5-2 before a crowd of 166. Florida (3-3) is at home for games against Jupiter through Thursday. If Deal remains in the rotation and pitches after four days of rest, his next scheduled start should be at St. Lucie (Fla.) on Friday; if on five days of rest, it should come Saturday at St. Lucie. Deal made his first appearance for the Frogs last Sunday. He started and left a scoreless game after six innings, and Daytona Beach won 5-3 on the road. Deal, who was a starter and reliever last season, gave up only two hits. He walked none and struck out five. Pitching in 81-degree weather, he threw strikes on 49 of his 72 pitches, faced 19 batters and registered out ground ball outs. He’s in in his third pro season after signing with the Braves after a morning tryout at Bandys, and he pitched in college at Presbyterian. In Rome (Ga.) last season, Deal went 9-1 with an ERA of 2.17 in 27 games (five starts), earning two saves and pitching 78 2/3 innings. He walked 17 and struck out 82. Deal’s career numbers heading into the season: 12-3 with 2.47 ERA, 41 games, four saves, 109 1/3 innings pitched with 21 walks and 109 strikeouts.